So, there are these people who work for The Husband… they deserve more than cookies. Lol. I’ve seriously been meaning to get treats to them for a long time. This is quite a group of highly intelligent, dedicated, and really interesting people! I made a batch of chocolate chip cookies and crammed more than three dozen into a bag for The Husband to bring into a meeting today. Hopefully, everyone will get two cookies… maybe I should’ve sent in more. I can crank out 12 dozen cookies in under two hours, including pans and kitchen cleaned, honestly, because I’ve made this recipe for 30+ years. I’ve made and sold hundreds of dozens of cinnamon rolls and can knock out a couple dozen with minimum effort. And I love cooking! It is a lot like an athlete’s love of practicing to develop muscle memory in a sport- I bet that anyone with a passion for anything would agree. Years of practice means few wasted steps in my kitchen; I know which equipment and ingredients to grab, measure, and use. Practice makes perfect, no matter what you are practicing… so be careful where you spend your time, right? Pile o’ cinnamon rolls for school. Nothing makes a baker happier than finding people with whom to share the goodies. 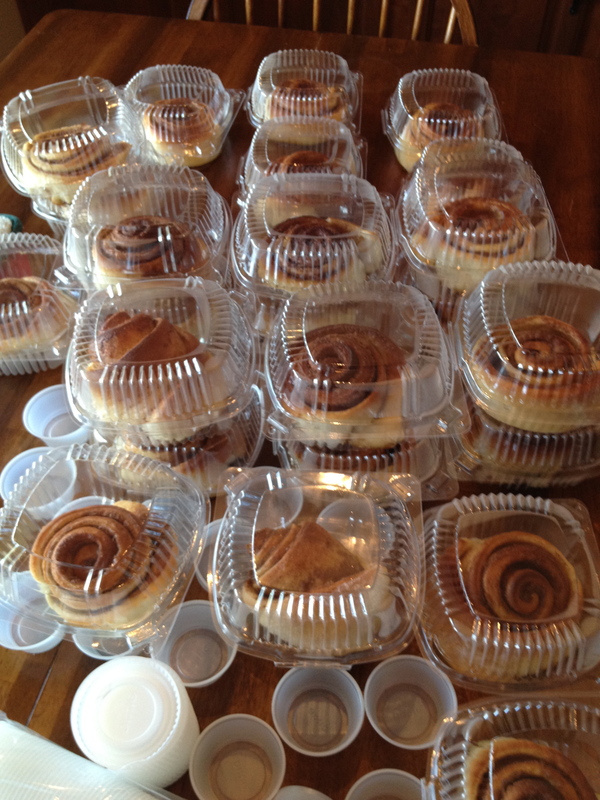 In January I bring cinnamon rolls to the teachers and staff for Teacher Appreciation Day- ironically, I’m sure I feel more appreciated when they say they look forward to the rolls each year (Cinnabon knock-offs, I swear they are exactly like the shops in malls). It makes me happy. 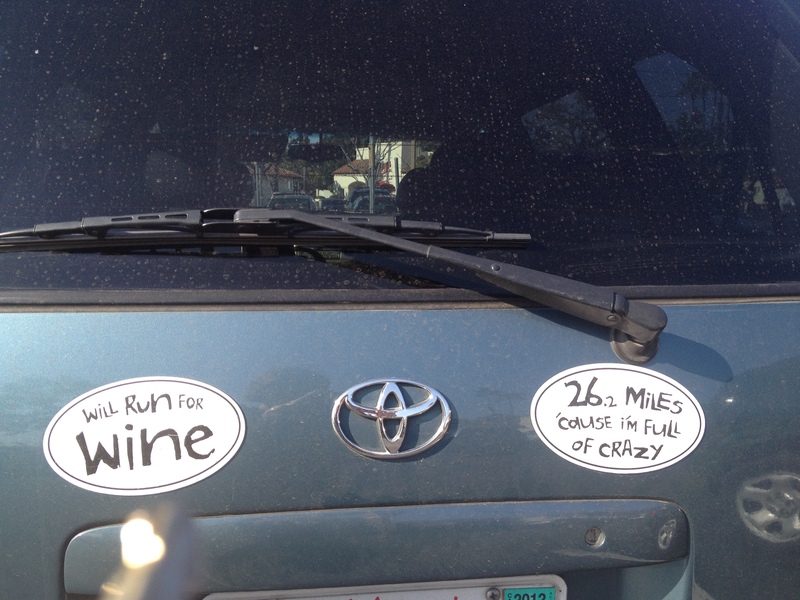 I run a couple miles most mornings so I can eat that second taco or have a nightly glass of wine. If people don’t share these cookies and other treats, I’m going to have to earn one of those 13.1 or 26.2 stickers for the back of my own sweet ride. Bake on, people… and keep running, too. Previous Previous post: New Menu Monday- Potato Tacos!